The Acanthus Fountain features delicately veined leaves which form a deep bowl. A fluted column supports the bowl. 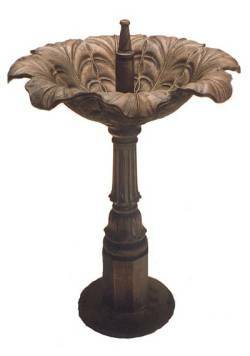 The Acanthus is available plumbed which enables it to be used as a fountain or unplumbed for use as a birdbath. It is finished in either a liver colour as shown, or in different degrees of verdi .